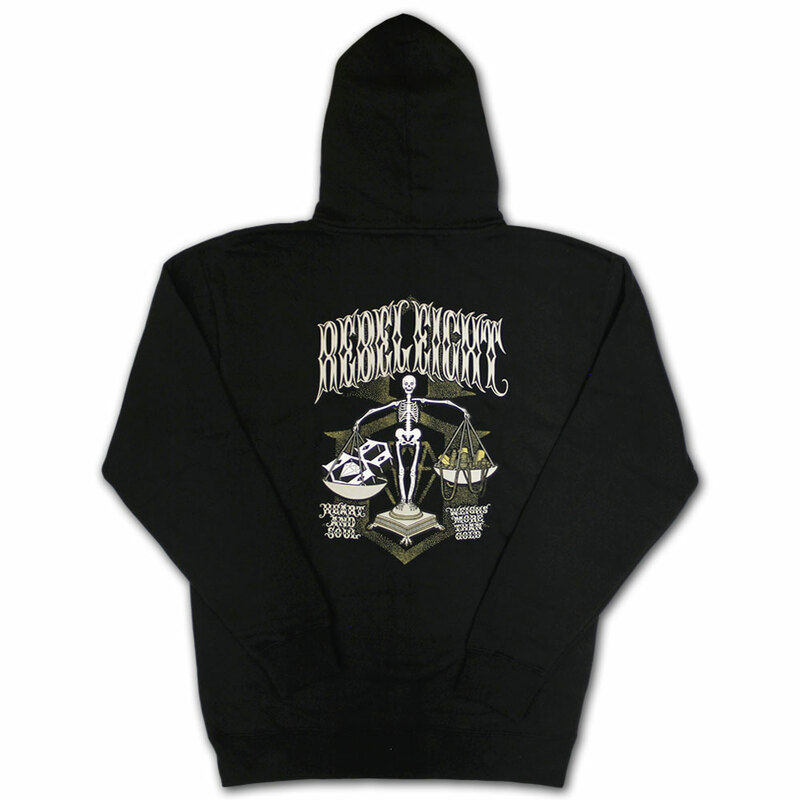 The Rebel8 heart and soul zip up hoodie has a big Rebel8 Heart And Soul image screen print on the back, depicting a skeleton holding a set of scales which read heart and soul weigh more than gold. There is a large REBEL8 Logo screen printed across the chest. This hoodie is 80 percent cotton and 20 percent polyester. This hoodie is thick and warm, perfect for the cold months ahead.